3/4″ black long wearing rubber cane replacement tips. The Big Foot Standing Cane Tip enables canes to stand on their own as well as provide additional support while walking. 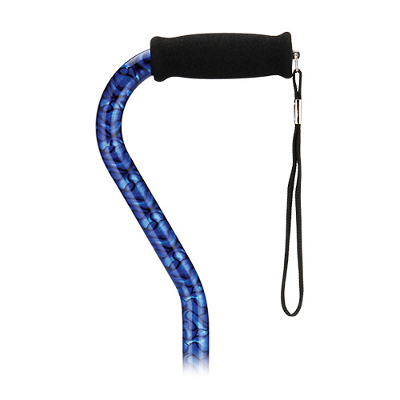 The Offset Canes with Strap are clearly a cane favorite. The offset shape provides excellent support for the wrist, the soft grip is comfortable for the hands and the strap is super convenient. The Switch Stick Foldable Canes are stylish, portable canes that easily fold up to make packing them and transporting it more convenient. Height adjustable and available in five different colors.